NORTH CAROLINA--I was never a fan of writing exercises. Too many writing teachers, I believed, threw a bunch of leaves and buttons and other miscellany onto a table and instructed students to “Write!” (for ten minutes, at least) as a way of passing the time. Less work for the teacher. But last year when I was revising my novel, The Art of Saying Goodbye, there was one chapter that, for a long time, didn’t quite work. I rewrote it six or seven times. When finally it passed muster with both my agent and editor, the plot had entirely changed. The scene was still between the same two characters, the setting was still the women’s dressing room of a department store, but the emotional content couldn’t have been more different. For the first time, all of us felt the scene did what had been meant to do. I felt like I’d been working on it forever. A lot of what goes on in a writer’s head, I came to see, is a mental version of a writing exercise that can also be done on paper, in a formal workshop, probably with the same results. Once, writing about a male character I didn’t fully understand, I changed his name, his age, his appearance, whatever I could think of to make him three-dimensional. Nothing. After much struggle, until I switched from third person to first and finally caught his voice. In those days I wouldn’t have called what I was doing a “writing exercise,” but that’s what it was. In “Getting Unstuck,” my upcoming workshop at the Network's 2011 Fall Conference, the objective is to learn strategies and practice exercises that have the potential to offer real help. Can’t move the plot forward? A critical scene doesn’t fit the very character who most needs to be there? Dialogue feels forced and unnatural? All of these problems can be addressed. I still believe that only certain writing exercises work. The goal of this class is to send writers home with some practical, easy-to-use ideas that do. 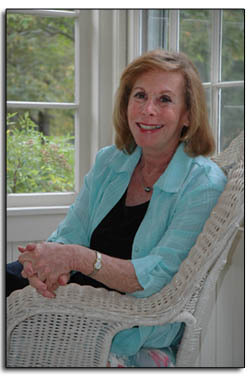 ELLYN BACHE will lead a Saturday workshop at the 2011 Fall Conference. She is the author of eight novels, including most recently The Art of Saying Goodbye. Her short-story collection The Value of Kindness won the Willa Cather Fiction Prize, and her novel Safe Passage was made into a movie starring Susan Sarandon and Sam Shepard. She has also written several books for young people as well as a nonfiction journal about sponsoring refugees. Registration for the 2011 Fall Conference, Nov 18-20, hosted by the North Carolina Writers’ Network, will open in September. Keep an eye on www.ncwriters.org for more details.